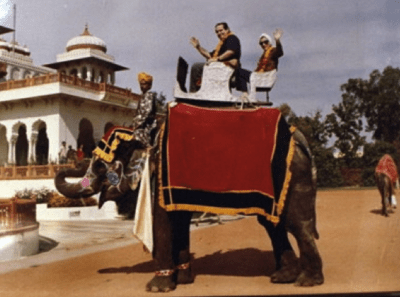 As for the elephant ride, [Justice Ginsburg] told students that she joined Justice Scalia astride an elephant during a trip to India, according to the Contra Costa Times. "It was quite a magnificent, very elegant elephant," Ginsburg said. "And my feminist friends, when they see the photograph of Ginsburg and Scalia on this elephant, say, 'Ruth, why are you sitting in the back?'"